When your home or business has a sewage backup you need fast action from a company that knows what they are doing, and this is why our sewage backup cleanup Fishers team with 911 Restoration of Indianapolis is here for you whenever you need us. When you have sewage or black water in your home, it needs to be dealt with immediately. This is why we have offices that are available 24/7/365, filled with operators that can take your call anytime, day or night. If your toilet has backed up, and there is dark, murky water coming up from it, then it is likely black water and this is hazardous to your health. Black water could also come up from the tub, sink, or any other plumbing. It needs to be dealt with immediately. We can find the source of the leak and take the necessary actions to ensure that your home does not become inundated with sewage again. If your home or business is already taking on category three water, then you need our professional sewage backup cleanup Fishers team with 911 Restoration Indianapolis at your site today! 911 Restoration Indianapolis knows how to work with every type of home sewage system. Through all their experience, the experts understand that there are three main causes of a sewage backup. Below are some tips from the Indianapolis experts so you can prevent a sewage backup from occurring in your home. Look Out For Clogging. Regularly check the main sewage line and the drain line. If a toilet will not flush, then the drain has a blockage. If you flush your toilet and it backs up on a regular basis, then the issue most likely is affecting the main sewer line. Keep Up With Your Yard Work. The plant roots in your yard can damage with the sewer system. Roots can easily destroy pipes and other parts of the line. This usually happens when tree roots dig deep into the ground. It might be necessary to get them removed if they are causing problems. Be Aware of Old Sewer Lines. Sewage systems can deteriorate over time, even though they are made from stable materials like metal, iron and clay, When pipes and drains begin to breakdown then sewage backup issues can become more common. If you discover that you have a sewage backup in your home, then you need to call the Indianapolis sewage backup pros to remediate the situation. We have all the equipment needed to get your home back to being the cleanest and safest environment possible. If your home or business is already dealing with a sewage event, then you need to contact our sewage backup cleanup Fishers team with 911 Restoration Indianapolis today! Every season you should have professionals look at your plumbing. The changing weather can have an affect on how they function, especially if the system is old. When we receive your emergency call, we will dispatch our sewage cleanup professionals to clean and sanitize your home within 45 minutes, so you never have to wait long for help. The Indianapolis sewage backup remediation techs offer free visual inspections, so you can call us whenever you need things looked over, without any of the risk. We have been doing this for years, so you can feel confident that the Indianapolis sewage backup pros can mitigate any sewage and black water issue that come their way. 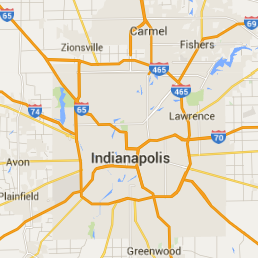 Let the Indianapolis sewage cleanup team handle your home sewage backup the correct way. Call our sewage backup cleanup Indianapolis team with 9011 Restoration Indianapolis immediately, so we can give your household a fresh start today!